Life is all about attitude. Whether the glass is half full or empty can really shape your life. 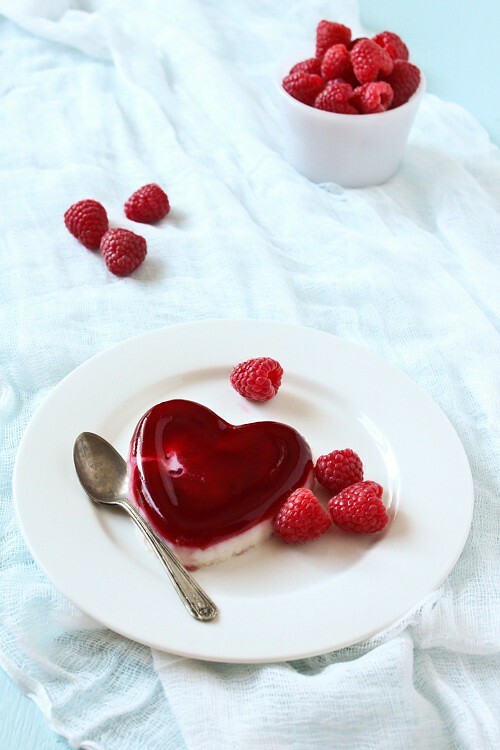 When it comes to Valentine’s Day I had two choices; I could mope about another year without a date or I could make and enjoy some pretty heart shaped desserts. I chose pretty heart shaped desserts. Panna cotta is one of my favourite desserts. It’s incredibly easy to make, and the variations are infinite. In honour of Valentine’s Day, I chose to add a little rosewater to the cream. And of course it needed a touch of red so raspberry jelly layer had to be added. 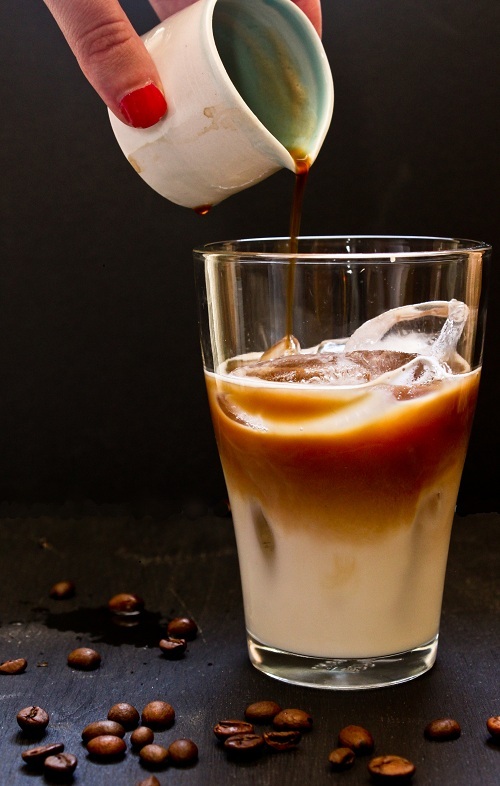 The result is a perfect combination of creamy and fruity layers, with just a hint of something floral. 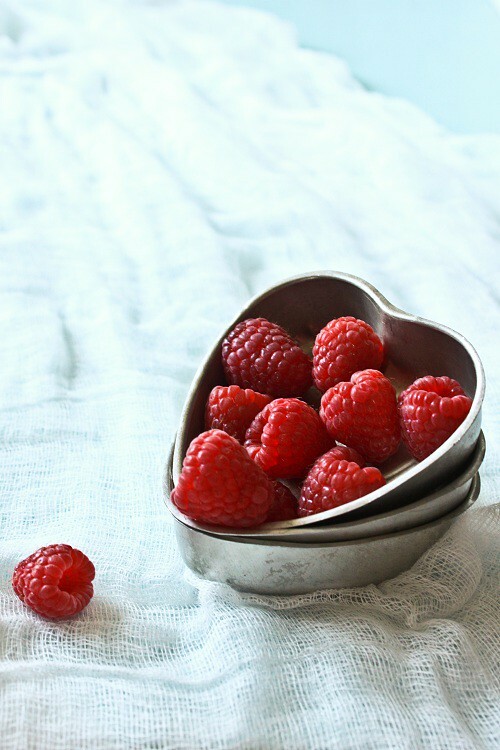 Whatever your plans for Valentine’s Day, I wish you lots of love a little something sweet! 1. Grease the molds with an unflavoured oil. In a medium bowl, sprinkle the 1 tsp gelatin over the ¼ cup water. Set aside. In a medium saucepan bring the raspberries and the 1/3 cup sugar to a boil, then simmer for 10 minutes to release the juices. Strain, and stir the raspberry juice into the gelatin until the gelatin has completely dissolved. Pour into molds and let set in the fridge for at least one hour. 2. 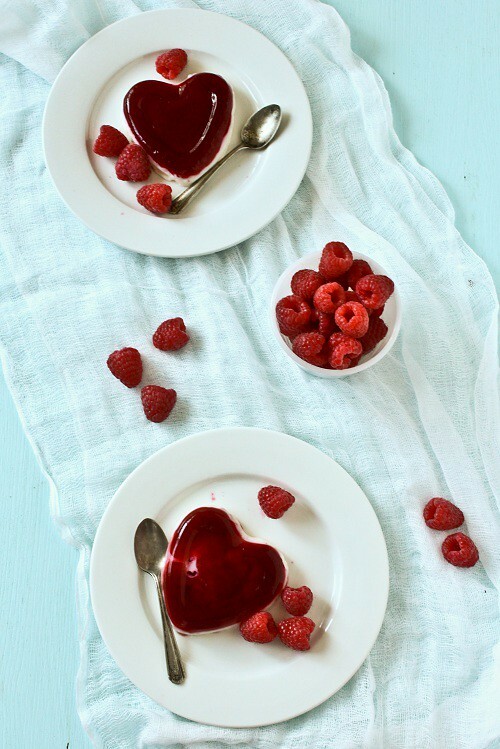 Once the raspberry gelée has set, make the panna cotta. In a medium bowl sprinkle the 2 tsp gelatin over the ½ cup cold water. Set aside. In a saucepan bring the cream and sugar just to boil. Add the rosewater. Stir into the gelatin until just combined. Let the cream mixture cool slightly then pour into the molds over the gelée. Let set for at least 2 hours.